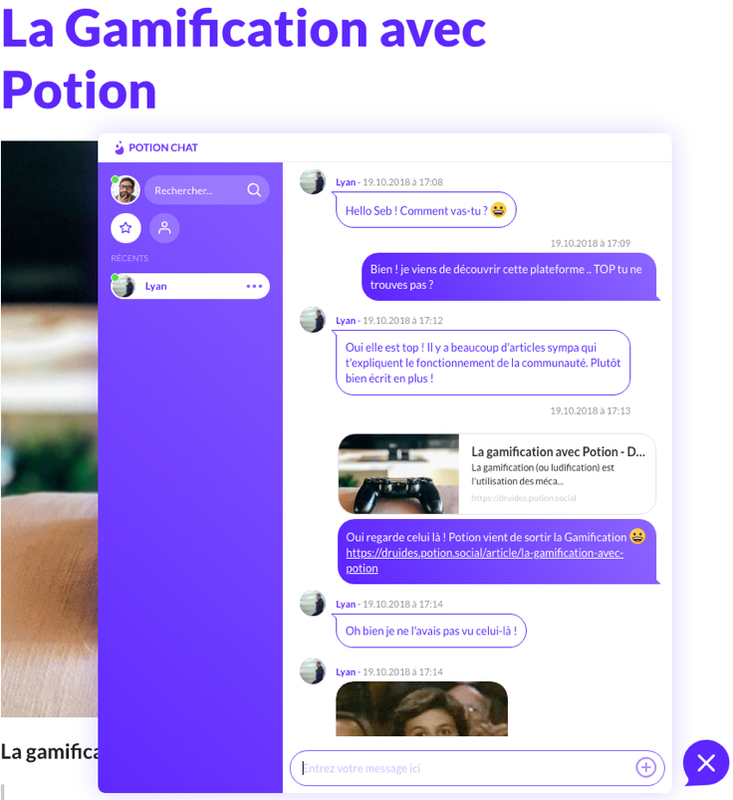 The Potion chat allows you to send private messages and chat instantly with all users. Thanks to emojis, gifs, or integration of your URLs, boost conversations between members. Your users are notified in private. An ergonomic interface, fun and powerful. Allow your members to know each other face to face. The chat is important for the user, it is the human link that drives his interactions with your brand. All of these interactions will affect your conversion rates, satisfaction rates and ultimately loyalty to your brand. Chat conversations are individual and private. The conversation history is saved and available at any time. 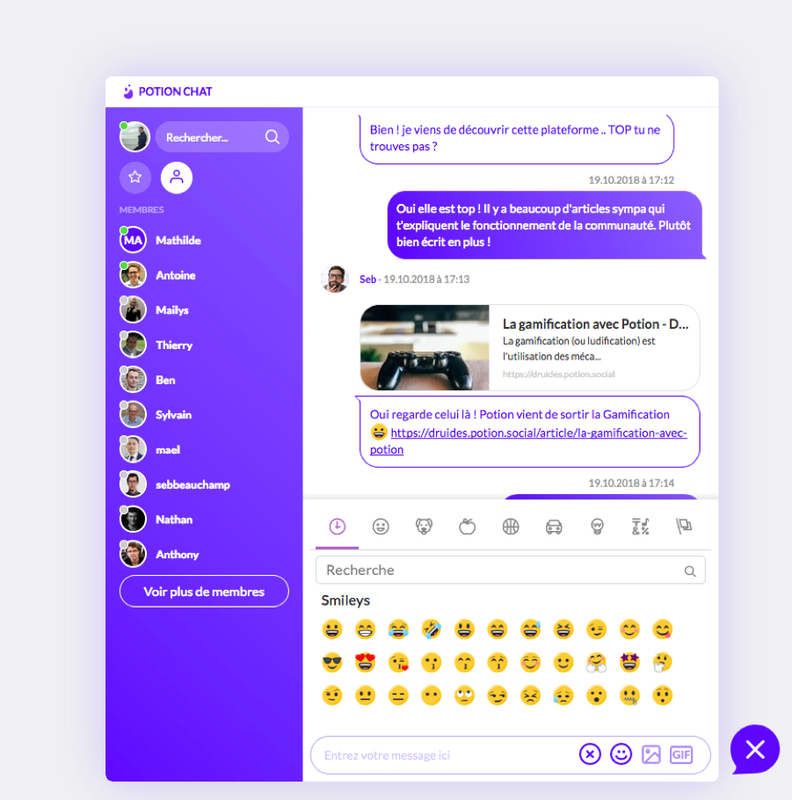 Thanks to the sharing of documents, photos, gifs, emojis, you can make visible and attractive the messages between you and your interlocutors. Turn your site into a community support tool and improve your customer service. 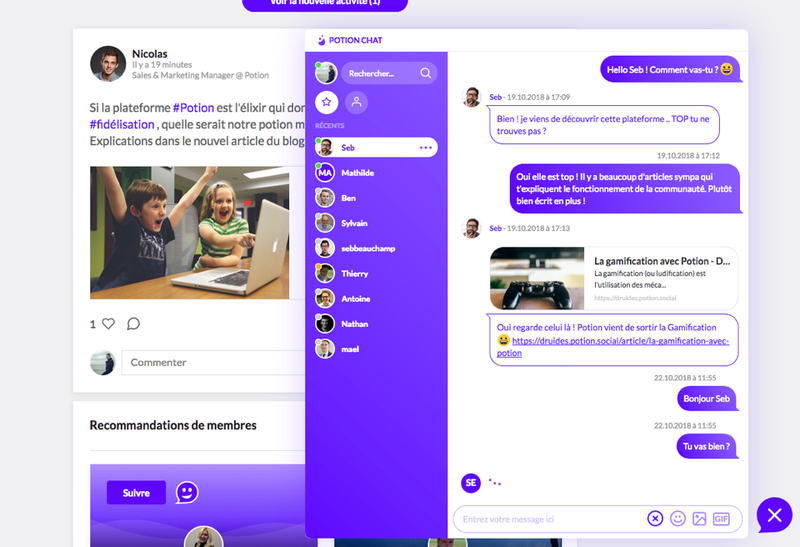 The chat allows you to better know and understand your community, that is to say to show that it is valuable by controlling your needs and responding to them. The chat can deliver the right message, at the right time, to the right person, increasing the impact of the proposed assistance and linking. 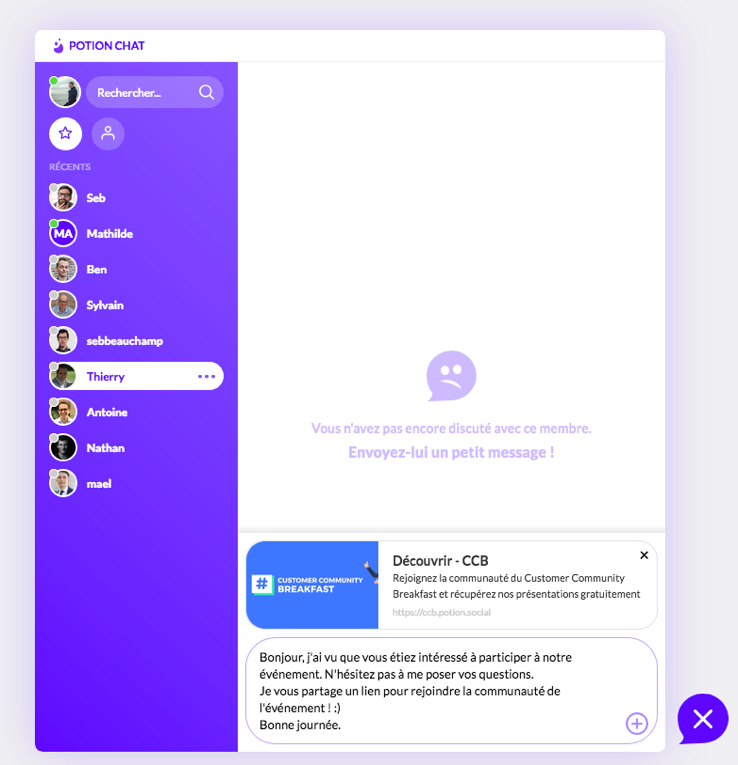 Message processing is instantaneous, reducing waiting times for your members and the number of emails received.